Newcastle-under-Lyme council, Staffordshire; caused respectively by the death of Trevor Hambleton at the age of 71 and the resignation of Lionel Burch. Both were Labour councillors. Hambleton was first elected in 1999 and was Mayor of Newcastle in 2011-12; his widow Sandra remains a councillor for Bradwell ward. Burch, who had served since May 2016, resigned abruptly following unspecified allegations against his conduct from within the council’s Labour group. My text this week is taken from the Scallan Report, and is a letter written by an elector of Newcastle-under-Lyme. It is particularly poignant as today marks 99 years since the General Election of 1918, in which women (or at least those over the age of 30) were eligible to vote for the first time. That was the culmination of many years of pressure from the suffragette movement and others; as almost everybody who reads these words will be aware, people have died for the right to vote. For the last 99 years, we have all had cause to be grateful for their hard work and pressure. In the 99 years since then, the number 99 has become indelibly associated with the word “flake”. And so it is here, for we must start this week’s previews not by discussing the delights of a particularly interesting and yet little-known area of Staffordshire, but in the Elections Office of Newcastle-under-Lyme. Your columnist, in his line of work. has long experience of trying to sort out official and administrative errors and thought he had heard it all; but the Newcastle-under-Lyme election of June 2017 is one of the most shocking examples of incompetence he has had cause to discuss and dissect for a long time. The root cause of what went wrong in Newcastle in June is very simple, and rather worrying for those who care about the effectiveness of our local government: the Electoral Services Officer and her line manager both left the authority in 2016 and were not replaced. This meant that the county council elections in May 2017 were handled by a consultant who worked three days a week, a full-time temp and a part-timer both with experience of running elections, and two secondees. That election was generally handled well. However, there were further personnel changes for the general election because the consultant wasn’t able to stay on and the full-time temp left, so a second consultant and a full-time agency worker had to be brought in in the middle of the election campaign. Crucially, the second consultant – who seems to have been appointed because he had previously worked in the Newcastle elections office – had little experience of the Individual Electoral Registration system which was introduced in 2015. 391 postal votes for UK addresses and 204 postal votes for overseas addresses were not sent out. 68 of those electors successfully complained that their postal votes had not arrived and were issued replacements, leaving 527 people disenfranchised. This error was not picked up by the elections office until after polling day, resulting in poor customer service to those electors who complained. In addition, postal polling cards were not sent out, resulting in those electors who had not received postal votes they had applied for not being aware of their rights and deadlines to request a replacement or not being aware that they could not vote in person. Some registration and postal vote applications handed in at council offices were lost. Due to the staff’s inexperience in Individual Electoral Registration and the volume of applications, 439 applications for registration were received before the deadline (22 May) but not processed in time for polling day; while 509 applications for registration were received before the deadline and processed in time for polling day, but were not added to the register for polling day because of a delay in switching the office’s computer system to “election mode”. 86 people complained about this, and the elections office misused their power to correct clerical errors to do what they should have done in the first place and add them to the register. An unknown number of other applications to vote needed further information to determine whether they were eligible, but this was not followed up by the elections office in a timely manner – that seems to been a particular problem for Keele University students. In addition electors who applied after the deadline were sent misleading letters suggesting that they would be eligible to vote in the general election. On polling day, the elections office reaped what had been sown as all these problems came to a head. The staff were simply overwhelmed by the volume of enquiries and it is clear that not all of those enquiries were handled in a professional manner. Amid the chaos two people who were not eligible to vote in the election were allowed to do so. The Scallan Report concluded that at least 998 electors in the Newcastle-under-Lyme constituency were disenfranchised as a result of these errors. It lays the blame for this squarely at the feet of inadequate performance by the Chief Executive as Acting Returning Officer, the Head of Audit who had line responsibility for the consultants, and the consultants themselves; together with the inexperience and under-resourcing of the election office’s staff. In most general elections 998 votes either way is not going to have an effect on the overall result; but as bad luck would have it the Labour MP for Newcastle-under-Lyme, Paul Farrelly, was eventually declared the winner on 9th June with a majority of just thirty votes. There can be little doubt that, if it were given the evidence laid out in the Scallan Report, the Election Court would void that result and order a new election. Unfortunately, petitions questioning the result have to be filed with the Election Court within 21 days of the declaration, a deadline which has long gone. Through no fault of his own, Farrelly now finds himself with a mandate which is at best questionable and at worst illegitimate; and the only way for him to resolve the question as to whether he was duly elected is for him to resign and fight a by-election. At the time of writing, he has not resigned; and, given the state of the Newcastle-under-Lyme elections office (which according to the Scallan Report has one remaining non-suspended employee, who only works part-time) that’s not surprising. Farrelly will want some kind of indication that this or something like it isn’t going to happen again, and properly staffing the elections office – one of the 16 recommendations made to the council in the Scallan Report is that Newcastle-under-Lyme appoint a permanent Electoral Services Manager and at least two FTE supporting posts – would be a good start along that road. Cases of incompetence in public office on this scale usually lead to demands for senior heads to roll, which rather misses the point that many of the problems with the Newcastle-under-Lyme election in June stemmed from senior heads not being there in the first place. Newcastle council have suspended the Chief Executive John Sellgren and the Head of Audit Elizabeth Dodd. At the time of writing, they have not resigned; and, given that the Scallan Report recommended that Staffordshire Police investigate for breach of official duty, an electoral offence which carries an unlimited fine, that’s not surprising. They will want to protect their legal position. However, this whole fiasco has resulted in the resignation of one person – the Labour Leader of the Council, Elizabeth Shenton. Newcastle-under-Lyme council is hung, with Labour as the largest group holding 24 seats plus these two vacancies but short of a majority; the Conservatives are on 22 seats and the balance of power is held by three Lib Dems, a Kipper and eight independent councillors of various stripes (several of whom were originally elected on the UKIP ticket). At last week’s full council meeting the independents withdrew their support for the previous Labour minority administration and voted in the Conservatives, who have formed a minority administration of their own under new council leader Simon Tagg. If the Conservatives can gain both of today’s by-elections they will draw level with Labour and running the council will become that little bit easier. With the Returning Officer suspended and the Newcastle-under-Lyme elections office clearly in no fit state to administer a poll, the council has effectively outsourced the job of running today’s two by-elections, at very short notice, to what Newcastle’s Twitter feed coyly calls “our neighbouring authority”. That would be Stoke-on-Trent. Local government watchers may have been given endless amusement by Stoke’s political dysfunctionality over the years, but the city’s elections staff come with a good reputation. We have to hope that they can sort out their sister borough’s problems quickly. That brings me to the by-elections themselves. To recap, these are Labour defences in Bradwell and Newchapel wards. Bradwell ward lies at the northern end of Newcastle town between the A34 and A500 roads. Once a coalmining area, this is now a riot of business parks benefiting from its proximity to the A500 and the Stoke-Manchester railway line – the JCB warehouse next to the railway at Chatterley Valley is particularly impressive. Despite all those jobs, qualification rates in the ward are low. Newchapel ward deserves an article all to itself and it’s a shame that hasn’t happened this time. I covered the ward in a previous edition of Andrew’s Previews in 2011, and after writing it up I thought it might be a nice place to visit. When I did eventually get there I was blown away. This is a high area on the hills between Kidsgrove and Biddulph, based on the village of Harriseahead and the Staffordshire half of the strange hilltop village of Mow Cop. Originally a quarrying village for millstones, Mow Cop is built around a 1,099-foot summit which is flanked by the rock formation of the Old Man of Mow and the folly of Mow Cop Castle. The Old Man and the Castle lie on the Staffordshire-Cheshire boundary, and on a good day provide fantastic views over the whole of the Cheshire Plain towards Manchester, the Peak District, the West Pennine Moors, the Shropshire hills, the Berwyn and Flintshire mountains and even Snowdonia. It’s beautiful. You must go. The name “Newchapel” is rather appropriate: up here on the hill in 1807 two Wesleyan preachers, Hugh Bourne and William Clowes, held a successful camp meeting which – after they were thrown out of the Wesleyan Church – led to the development of Primitive Methodism. Today Newchapel’s demographic can be best described as affluent working-class, with significant numbers of manufacturing jobs and a very high proportion of residents born in the UK. 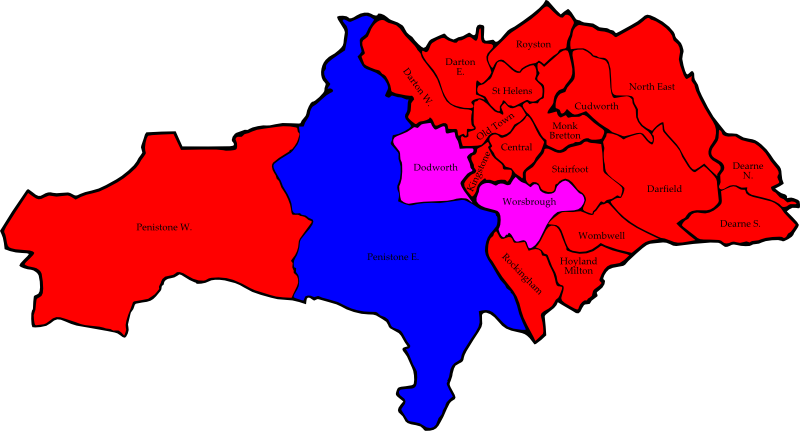 That’s led to some interesting election results in Newchapel over the years. In 2002 – the first election on the current boundaries – the Liberal Democrats won both seats, but they lost one to the Conservatives in 2003 and the other to Labour the following year. The Conservatives picked up the Labour seat in 2008. 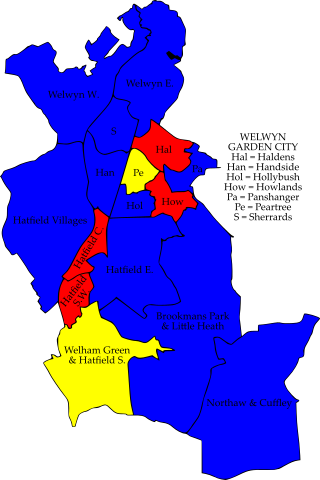 Labour gained both of the ward’s seats in 2011 (one in the ordinary May election and the other in a November by-election), but the Conservatives got one seat back in 2015 and were very close to gaining the other last year. In a straight fight in 2016, Labour held their seat by 385 votes to 379 – a majority of six. The Conservatives narrowly gained the local county division (Kidsgrove) in May and will definitely see this as within range for a Tory gain – something we haven’t seen much of recently. Bradwell ward is a much safer Labour area which since 2002 has only voted Conservative once, at the Labour low point of 2008. Incidentally the losing Labour candidate that year was Gareth Snell, who is now the MP for Stoke-on-Trent Central. In 2016 Labour won here with 54%, to 24% for UKIP and 19% for the Conservatives. Again the Tories very narrowly gained the local county division of Bradwell, Porthill and Wolstanton in May; but as Porthill consistently votes Conservative and Wolstanton is politically volatile it is likely that Labour had a lead in Bradwell ward. 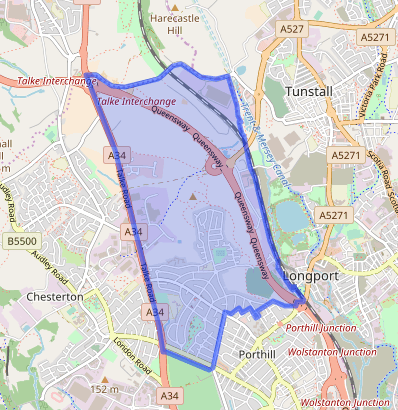 These will be the last elections to Newcastle-under-Lyme’s current ward boundaries, as the council will be all-up in May on a new ward pattern – so whoever wins these by-elections will have to be back on the campaign trail in short order to seek re-election. Also next year the council will move away from election by thirds, so the next elections after May will be in 2022. Both Bradwell and Newchapel wards will see only minor changes in May, with Newchapel being renamed as “Newchapel and Mow Cop”. Defending Bradwell for Labour is Andrew Fox-Hewitt, a firefighter and secretary of the Cheshire branch of the Fire Brigades Union. There is no UKIP candidate – something which says volumes about the decline of the party, which has always been well-organised in Newcastle. The Conservative candidate is Gail Benbow. Richard Virr, of the Liberal Democrats, completes the ballot paper. In Newchapel the defending Labour candidate is Angela Cooper. Jill Waring returns for the Conservatives after her near-miss last year. Completing the ballot paper is Nigel Morgan, an independent candidate endorsed by the council’s Kidsgrove Independents group. Let’s hope for a smooth and orderly poll this time. It’s not too much to ask. Wigan council, Greater Manchester; caused by the resignation of Labour councillor Damian Edwardson due to pressure of work. He had served since 2012. We travel down the north escarpment of Mow Cop towards the first of three Labour defences in the North of England. 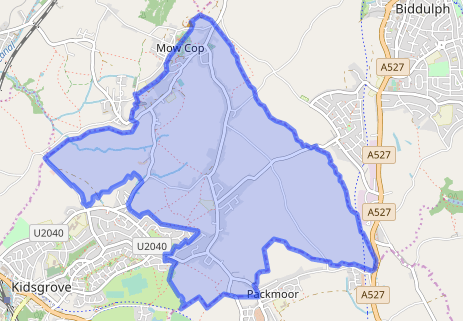 Shevington lies on the edge of Greater Manchester to the north-west of Wigan; it’s a rather diffuse set of villages in and overlooking the Douglas valley, with Shevington Vale, Shevington Moor, Gathurst and Crooke (the “Lower Ground” area) all lying within the ward boundary. In times past there was a coalmining and explosives industry here, but that’s disappeared and the ward’s residents instead make use of its good transport links to commute elsewhere. The M6 motorway passes through the ward from north to south, while from west to east run the Leeds-Liverpool Canal and the Manchester-Southport railway line, with stations at Gathurst and Appley Bridge (which is outside the ward and county boundary but within the Transport for Greater Manchester area) linking the ward to Wigan and Manchester. During the 2000s this ward (and its predecessor, Langtree ward) was a closely-fought Labour versus Conservative marginal. 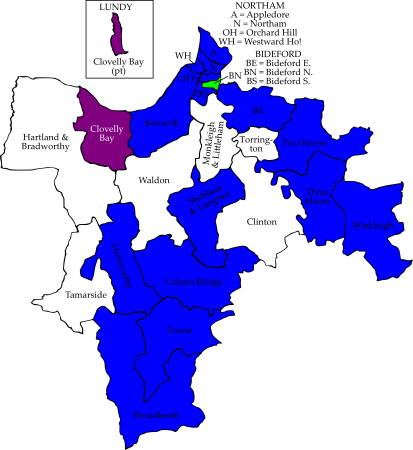 However, after 2008 the Conservatives in Wigan suffered a damaging split, with the splinter group somehow managing to get the party name “Wigan Independent Conservatives” past the Electoral Commission and onto the register of political parties. The Wigan Independent Conservatives are associated with the Fairhurst family, who have a lock on the neighbouring ward of Standish with Langtree and one of whom was a former Conservative councillor for this ward. In recent years their candidates have attempted to obscure their Tory past by presenting themselves on the ballot paper with labels such as “Shevington Independents”. The split allowed Labour to establish themselves in Shevington with Lower Ground ward, and they have held all three seats here since 2012. At the most recent borough election in 2016 Edwardson was re-elected with 40% of the vote, to 26% for the “Shevington Independents” and 19% for UKIP who pushed the Conservatives into fourth place. In May’s Greater Manchester mayoral election – whose results were broken down to ward level – Labour’s Andy Burnham led the Conservatives here 68-22. Defending for Labour is Marlaine Whitham, a trustee of the Homestart St Helens charity and local school governor. Janet Brown of the “Shevington Independents” returns after her second-place finish last year. UKIP have not returned, so completing the ballot paper are Callum Chadwick for the Conservatives, regular Green candidate Joseph Rylance and Joshua Hindle of the Liberal Democrats. Salford council, Greater Manchester; caused by the death of Labour councillor Paul Longshaw at the age of 49. The lead member for housing at Salford council, Longshaw had served only since 2016 but before then had worked in Salford council’s housing department for 25 years, becoming a senior housing officer and leading the regeneration of Pendleton. The inquest heard that Longshaw had suffered from depression, and the coroner recorded a verdict of suicide. We take the train from Gathurst station towards Manchester and alight at Salford Crescent, the railway station just outside but serving Langworthy ward. Lying between the M602 motorway and the A6 Broad Street, this is the part of Salford your parents warned you about and one of the very few places where your columnist – who is well-built enough to make muggers think twice – has ever felt unsafe. We’re a mile and a world away here from the shiny apartments and jobs of Salford Quays. Over half of the ward’s housing stock is socially rented – putting Langworthy in the top 80 wards in England and Wales for that statistic – and much of that social housing consists of metal-clad tower blocks which are giving Salford council an enormous financial, health and safety headache in this post-Grenfell world. A large proportion of the population is economically inactive – 11% of the workforce is disabled or long-term sick, and 13% are students at nearby Salford University. At the centre of Langworthy ward is Salford Shopping City, originally developed by the council in the 1960s and one of the most depressing collections of bargain and discount stores your columnist ever hopes to see. 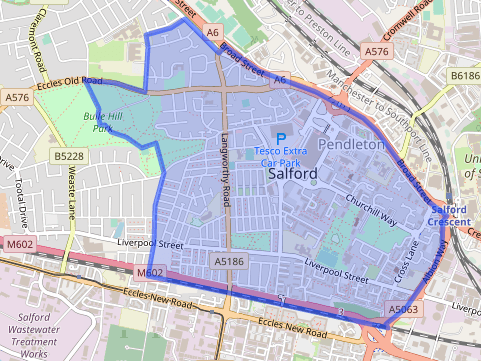 Shopping City was extensively damaged in the August 2011 riots, and you can bet your bottom dollar that if a shocking crime is reported in Salford it’s probably happened somewhere within the ward boundary. It will not come as a surprise that every one of this ward’s census districts is within the 20% most deprived in the UK. Shopping City being served by several bus routes, this ward has a very high proportion who travel to work by bus by the standards of England outside London. The 2011 census also picked up significant pockets born in China (presumably students), Nigeria and Scotland. Being inner-city Salford this is a Labour area. The main opposition to Labour here traditionally came from the Liberal Democrats, who won Langworthy at the Labour low point of 2008, but Salford was one of the areas where Coalition destroyed the Lib Dem base. UKIP took over second place in 2014, and in 2016 Labour won with 49% to 25% for UKIP and 11% for an independent candidate. UKIP are not contesting this by-election, so a better guide might be the mayoral election in May where Labour beat the Conservatives here 68-14. Defending for Labour is Wilson Nkurunziza, a Baha’i and a community worker focusing on refugees. There is no UKIP candidate but it appears that the local UKIP group are backing independent candidate Michael Felse, a tutor and former Manchester Pride queen who has previously stood as an independent candidate for Mayor of Doncaster; Felse was the English Democrats candidate for Dewsbury in the 2010 general election and in 2012 stood on their ticket for Mayor of Salford and Greater Manchester Police and Crime Commissioner. Also on the ballot are Conservative candidate James Mount, Ian Pattinson of the Green Party and Liberal Democrat Jake Overend. Barnsley council, South Yorkshire; caused by the resignation of Labour councillor Emma Dures who had served since 2012. What’s Christmas without a brass band? We conclude our tour of this week’s northern by-elections by travelling to the wrong side of the Pennines for the last Labour defence of the year. The name of Rockingham ward commemorates Thomas Watson-Wentworth, the first Marquess of Rockingham, who took his name from his Northamptonshire estates but was a major landowner in this part of Yorkshire. As well as the ward, Lord Rockingham gave his name to a local colliery, a brand new community and sports centre (the Rockingham Centre), a cricket club (no relation of Lord Rockingham’s XI, who were a band) and a brass band, seen in the video competing in the Fourth Section (the lowest division) of the 2016 Yorkshire Brass Band Championships. That performance placed them second overall, and they picked up the prize for Best Percussion and a qualification spot for the National Finals. The ward named after Lord Rockingham is based on the western half of Hoyland, a mining town a few miles south of Barnsley, together with the smaller villages of Hoyland Common and Birdwell. As might be guessed from the fact that Barry Hines, the author of Kestrel for a Knave, was from Hoyland Common, this was traditionally a coalmining area both deep and opencast. Despite its proximity to the M1 motorway Rockingham ward hasn’t developed as a commuter area following the collapse of the Yorkshire mining industry. In an attempt to stimulate development of the old mining sites a new road, the Dearne Valley Parkway, was opened through the ward in the late 1990s on the principle of “if you build it they will come”. The jury appears to be still out on that one. During the Blair and Brown years this ward was closely fought between Labour and a localist slate called the Barnsley Independent Group who are now defunct. Labour have won every contest here since 2010, with UKIP taking over second place in the 2014 election. In 2016 Labour beat the Kippers here 52-32. Defending for Labour is Nicola Sumner. UKIP have not returned – which makes it five out of five by-elections in the Midlands and the North this week, all of them in wards where the Kippers have finished second at some point, which the party have not contested. That means that the opposition to Labour comes from the Conservatives’ Michael Toon, who has stood here twice before, and Liberal Democrat Paul Nugent who is the only candidate to give an address in the ward. Oh, and as it’s Christmas… wine gums anyone? Welwyn Hatfield council, Hertfordshire; caused by the resignation of Liberal Democrat councillor Rachel Basch who had served since 2016. She has taken up a politically restricted job with the civil service. We move into the south, and to the only town which was both a garden city and a New Town. Welwyn Garden City was founded in 1920 as the UK’s second garden city (after Letchworth), laid out with a neo-Georgian town centre along the Parkway, a straight boulevard a mile long with a park in the middle. Off the Parkway is the Howard Centre, a modern shopping mall, with the town’s railway station behind it. All of these are in Handside ward, which covers south-western Welwyn Garden City and is the core of the original garden city development. The name refers to Handside Road, which existed before the town was developed and was incorporated into it. 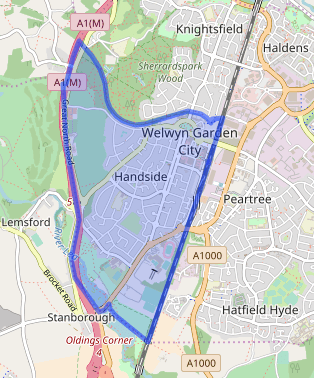 The modern Handside ward is clearly middle-class commuter territory, with high proportions of residents in management jobs, and good education levels. 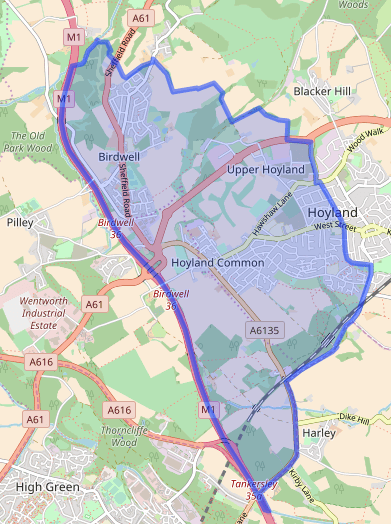 Its current boundaries date from 2008 and the ward survived a boundary review in 2016 unchanged. At local level Handside has for many years been a tight marginal between the Tories and Lib Dems, with the Conservatives generally having the upper hand. The 2008 election resulted in a 2-1 Tory-Lib Dem split; the Conservatives gained the Liberal Democrat seat in 2014 with a a majority of just 77 votes, but the 2016 election with all three seats up again resulted in a 2-1 Tory-Lib Dem split. Shares of the vote in 2016 were 42% for the Conservatives, 36% for the Liberal Democrats and 16% for Labour. Now, something strange has happened this year to the Conservative machine in Welwyn Hatfield. There are only five constituencies which the Conservatives hold where they polled fewer votes in 2017 than in 2010. One of those is Witney, where the Tory candidate in 2010 was the party leader; three are urban professional seats in London (Cities of London and Westminster, Chelsea and Fulham, and Richmond Park) where Brexit has taken the shine off the Tory brand among their core vote. Welwyn Hatfield, having voted Leave eighteen months ago, doesn’t fall into either of those categories. One explanation might be that the local MP Grant Shapps, who has been a scandal-prone figure, has developed a negative personal vote; but that doesn’t satisfactorily explain the Tory underperformance in the Hertfordshire county elections just a month earlier, in which the party won just three of Welwyn Hatfield’s eight county divisions. The other five seats split three to the Liberal Democrats and two to Labour, who also came very close to beating the Conservatives in the new Hatfield East division. Safely in the Liberal Democrat column was Handside and Peartree division, which includes this ward together with the weak Conservative area of Peartree ward. So, it will be interesting to see if the Lib Dems can hold this one or whether the Conservatives can gain it. Defending for the Lib Dems is Siobhan Elam, a retired policewoman who is heavily involved with the local Barn Theatre. The Conservatives have gone for youth in selecting Drew Richardson who isn’t yet 22; he works for Apple and is a Metropolitan Police special constable. Also in her early 20s is the Labour candidate Belinda Yeldon, youth officer for the party’s Welwyn Hatfield branch and a business manager for NHS England. Completing the ballot paper is Green candidate Berenice Dowlen. Whoever wins will need to get straight back onto the campaign trail to seek re-election in May 2018. Torbay council, Devon; caused by the death of Liberal Democrat councillor Roger Stringer at the age of 73. For many years postmaster at Barton post office in Torquay, Stringer was first elected to Torbay council in 2003 for St Marychurch ward, transferring to Watcombe ward in 2007. Away from the council he was a tireless charity campaigner, raising thousands of pounds to help children from eastern Europe. Have you had enough of Devon by-elections yet after our recent glut? Of course you haven’t, and here are two more for you. We start just off Devon’s south coast in Torquay for our second Lib Dem defence of the week. Watcombe ward is the northern end of Torquay, running from Combe Pafford through Barton up to the 180-metre summit of Great Hill. Mostly developed in the 1950s and 1960s, this is a deprived ward of a deprived town. 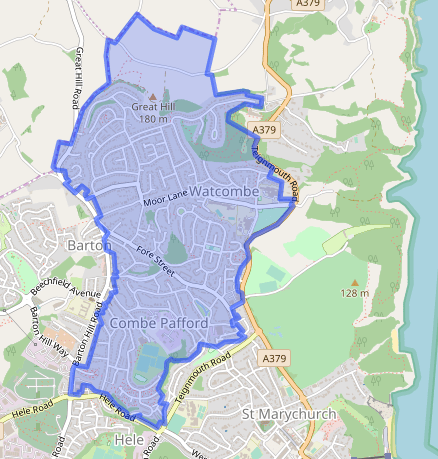 Watcombe ward has been a Liberal Democrat stronghold for many years with the party’s vote seemingly unaffected by the various travails of the Lib Dems on the national scene. In 2015 the Liberal Democrat slate had 43% to 23% for the Conservatives and 19% for Labour. However, the Conservatives got a swing in their favour in the Torbay constituency in June which would be enough to win this ward, so this could be worth looking at more closely than the majority might suggest. Defending for the Liberal Democrats is Swithin Long, who might sound like he’s walked straight out of the Harry Potter universe but is in fact an Age UK advisor and former MP caseworker. The Conservative candidate is Daniel Maddock, a mortgage broker. Labour have selected Julia Neal, a long-serving teacher and former president of the Association of Teachers and Lecturers. Completing the ballot paper is Eleanor Taylor of the Green Party. Torridge council, Devon; caused by the resignation of Conservative councillor Peter le Maistre. Le Maistre resigned after being stopped by police on suspicion of drink driving while travelling home from a full council meeting in November. At North Devon magistrates court he subsequently pleaded guilty to failing to provide a specimen of breath for analysis, and was banned from driving for 30 months and given a community order. The council’s lead member for internal resources, le Maistre had served since 2015. We finish our by-elections this year by crossing from the south to the north coast of Devon for the only Conservative defence of the week. 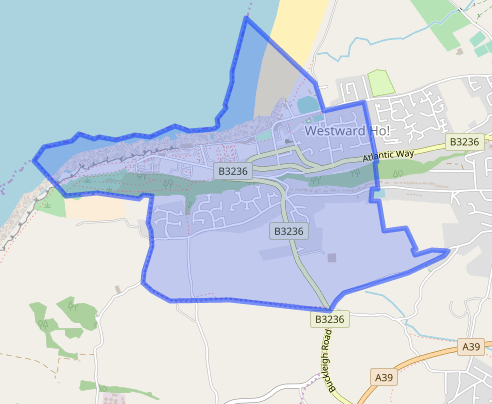 As any quiz player knows, the only place in the UK whose name includes an exclamation mark is Westward Ho!, a village named after the novel of the same name by Charles Kingsley which was set in nearby Bideford. The success of the book inspired developers to cash in, and within ten years development of the village was underway. A boarding school was even founded here – the United Services College which educated military officers’ sons, including Rudyard Kipling. Today like much of the Devon coast this is a retirement centre: 34% of the population is aged 65 or over, and the ward makes the top 60 in England and Wales for retirement (31% of the workforce). Le Maistre was elected for Westward Ho! in 2015, defeating independent councillor Roger Tisdale who had served since winning a by-election in November 2004. Le Maistre polled 40% of the vote to 36% for Tisdale and 24% for the Green Party. 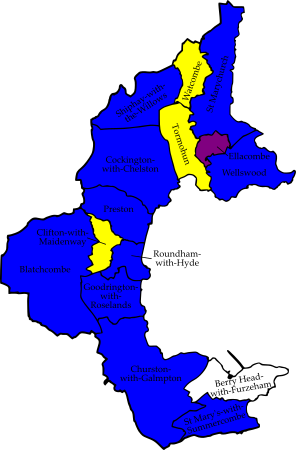 Tisdale had gained his seat from the Community Alliance, a localist slate which performed well in the 2003 Torridge elections but then disbanded. The Conservatives hold the local Devon county council division (Northam), increasing their majority in May. This by-election has attracted a large field of six candidates. Defending for the Conservatives is Roger Levick. Two independent candidates have come forward, Nick Laws and Barry Mason; Laws runs an angling supplies business, while Mason is a driving consultant, former police traffic sergeant and former Mayor of Northam – the parish which covers Westward Ho! The Greens have not returned, so completing the ballot paper are Stan Coats for Labour, Stephen Potts for the Liberal Democrats and the only UKIP candidate of the week, Derek Sargent. City of London Corporation; caused by the resignation of Alderman Sir Michael Bear. Even as we come to the end of the eighth year of Andrew’s Previews, there are still some elections which appear here for the first time. Earlier in this preview I touched on the impact of Brexit on the Conservative vote in London. With many of the country’s financial markets being located in the ancient City of London, you might think that a local by-election to the City Corporation might be a good barometer of the effect of the current political situation on Britain’s financial businesses. Right? Wrong. The City of London Corporation is a strange body with more responsibilities than the London Boroughs which surround it (for example, it runs its own police force) but with the non-party politics and population of a largish parish council. Its structure is essentially unmodified since mediaeval times: the Lord Mayor is still elected by members of the City’s ancient trade-based guilds, while other hangovers from a bygone age include an electoral register based not just on residence but on employment within the ward, and the presence of aldermen decades after their abolition in the rest of the country. Which is where this poll comes in. The City has 25 aldermen, one for each of its wards (which are descended from their mediaeval predecessors with only very slight modifications). Technically the Aldermen are elected for life; in practice they submit themselves for re-election every six years, and retire upon reaching the age of 70 in one of those customs that isn’t mandatory. Not at all. Sir Michael Bear, Alderman for Portsoken ward, has not yet reached the retirement age – he turns 65 in January – but has decided to retire after two terms, having become an Alderman in 2005. Born in Nairobi before Kenyan independence and growing up in Cyprus, Bear worked for nineteen years until 2012 as managing director of Balfour Beatty Properties, working on private finance initiatives and public-private partnerships. He was Lord Mayor of London in 2010-11, and was described as a key figure in the redevelopment of Spitalfields Market. The City’s extensive business vote and small resident population (go here at a weekend and you could be forgiven for thinking that the apocalypse had arrived, so empty are the streets) means that twenty-one of the twenty-five wards are effectively in the hands of the business voters. Running along the eastern boundary of the City, Portsoken is one of the exceptions, one of the four so-called “residential” wards, although there are some business voters here as well; it consists of two blocks either side of Aldgate underground station along the western side of Mansell Street and Middlesex Street (home of the “Petticoat Lane” market), together with a small salient further into the City which consists of two buildings: the wonderfully-named church of St Botolphs Without Aldgate and the Sir John Cass’s Foundation primary school, which was added to the ward in 2003 and is the only part of the ward within the original London Wall. 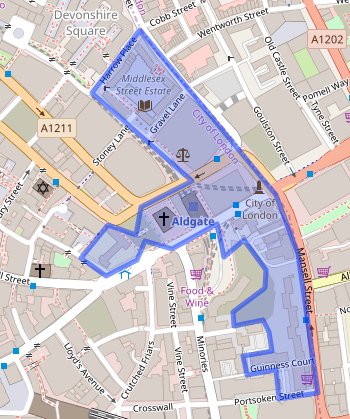 Some of this ward was in the London Borough of Tower Hamlets until boundary changes in the early 1990s, and the resident population shares many of the features of the neighbouring Whitechapel and Spitalfields/Banglatown wards; this is a deprived area. For that reason Labour have been taking the ward seriously in recent years: they came within 65 votes of winning a seat here in the 2009 election. That wasn’t as impressive as it might sound given that the number of voters was tiny, but Labour kept plugging away and finally broke through in a by-election in March 2014, which was won on their ticket by former Common Councilman William Campbell-Taylor. Campbell-Taylor retired from the Court of Common Council at the March 2017 election, but the Labour slate topped the poll, held his seat and gained a second seat to hold two of Portsoken’s four councilmen. There are four candidates for this Aldermanic election whom I shall take in alphabetical order. At the top of the ballot paper is David Barker, who came last in this ward in March’s City elections and did no better in June’s general election, when he finished last as an independent candidate in Poplar and Limehouse. A former internet entrepreneur originally from a poor area of Manchester, Barker wants to reduce the ward’s child poverty rate – which stands at an astonishingly high 53% – and has tried to stay involved with the ward community by founding a local chess club and Spanish-language classes. Third on the ballot paper is Prem Goyal, Common Councilman for Bishopsgate ward. Originally from New Delhi, Goyal runs Global Markets Consultants, a management consultancy firm providing services to the financial industry. He was appointed OBE in 2012 for services to the economy and for promoting charitable giving. This isn’t Goyal’s only foray into politics: he had sought the Labour selection in his home constituency of Bermondsey and Old Southwark for the 2015 general election, didn’t get it, and then founded his own political party. His All People’s Party turned into a ramshackle group of disaffected Southwark Labour figures and made no impact at all. Goyal himself stood in Camberwell and Peckham in the 2015 election, coming sixth out of eleven candidates with 1.6%. Completing the lineup is Anthony Samuels, a notary public and former non-executive chairman of Clydesdale Bank South London Region. Although he is standing as non-party as is traditional in the City, Samuels is the vice-Chairman of Surrey county council, representing Walton South and Oatlands division as a Conservative councillor, and served for several years on the county’s cabinet as lead member for the Built Estate. This being the City, the electoral process started on Wednesday with the Wardmote, a public meeting held at the Artizan Street Library and Community Centre which effectively functions as a hustings. The Wardmote has been adjourned for the poll, which will take place between 8am and 8pm today, and will reconvene for the announcement of the result. With no by-elections in the week before Christmas, that is that for the psephological year of 2017, the year in which that old Chinese curse “may you live in interesting times” was in full effect. It was the year when the government gained a parliamentary by-election from the opposition for the first time since the 1980s; the year in which Theresa May gambled on opinion poll leads of over 20 points and lost; the year in which Jeremy Corbyn answered his critics within the Labour Party; the year in which politics became polarised on the national level, and just that little bit nastier. On a personal level, it was the year in which this column transferred to Britain Elects, and I’m very grateful to the Britain Elects team for their support and encouragement. Thank you. Thanks are also due to Election Data, who published and supported these pieces in the early part of 2017. Thank you. Thanks are also due to those intrepid people (hello Sid, hello Doris) who bought your columnist’s first book – Andrew’s Previews 2016. (If there is demand, perhaps a similar 2017 book of these columns might be worth doing? Please let me know what you think.) And finally, thanks to those who read this column week after week, and to those who take the time to send me animated GIFs of Jeremy Corbyn on Twitter. You know who you are. The electoral cycle never stops turning, and before you know it Christmas will be over and the New Year will be upon us. There is no sign in the immediate future of these “interesting times” letting up, and 2018 will be a bumpy ride if it is even half as unpredictable as this year. If there is no snap general election (and, as we saw this year, that cannot be ruled out), then the main electoral event of 2018 will be the local elections in May, which will be concentrated in London and the major urban areas of England. There’s a long way to go before we get there, of course, but no doubt there will be plenty more by-elections to dissect in the interim. Already in the pipeline is a Welsh Assembly by-election to replace the late Carl Sargeant, and your columnist is aware of a few dozen local government vacancies which may turn into by-elections in due course. Fear not, there are plenty more columns to come. While we are discussing the future, it is best to note that from mid-March 2018 your columnist will be out of a job and seeking new employment. Please send reasonable job offers to the usual address. That’s for the future, and it’s time to close down for the year in the words which have become traditional. This column will return in time for the first local by-election of 2018, to be held in Borehamwood, Hertfordshire on 4th January; until then, may I wish all readers of this column a very Merry Christmas, and may your 2018 be an improvement on your 2017.